The WJZ mayoral debate broadcast Tuesday night. The candidates, from left: Sheila Dixon, Elizabeth Embry, Nick Mosby, Catherine Pugh, Carl Stoke, and David Warnock. The WJZ mayoral debate broadcast Tuesday night. 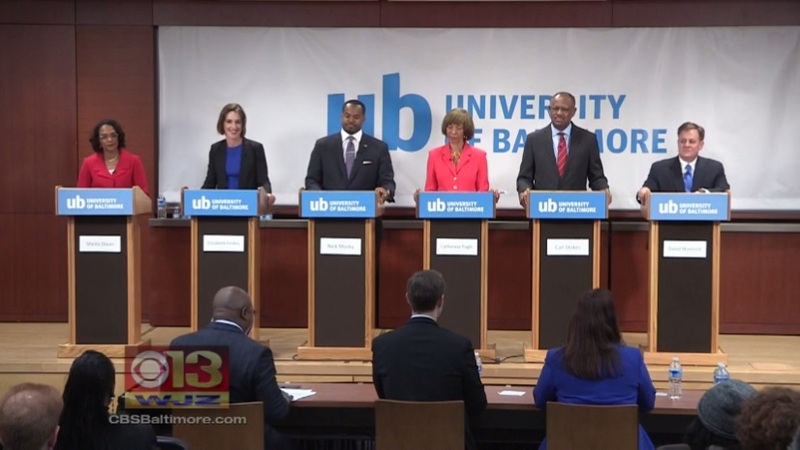 The candidates, from left: Sheila Dixon, Elizabeth Embry, Nick Mosby, Catherine Pugh, Carl Stokes, and David Warnock. Initially, the race to succeed Stephanie Rawlings-Blake as mayor of Baltimore looked like a contest between Sheila Dixon and the field. Dixon, who had preceded Rawlings-Blake until she was forced from office by a corruption scandal, started with high name recognition and a legitimate claim to experience in office. Now, a recent Baltimore Sun/University of Baltimore poll suggests that next month’s Democratic Primary is in a new phase. That survey showed Dixon and State Senator Catherine Pugh in a virtual tie with results well within the statistical margin of error of the poll. The outcome will depend on two critical factors. The first, which applies to all contests this spring as well as those in the fall, will be turnout. In fact, when polls are wrong, as they have been more than once in primary elections around the country this year, it is almost invariably because the pollster miscalculated turnout. If you go back to the 2012 Presidential Election, Mitt Romney’s mistaken impression that he would be the winner on Election Day was based on the belief that President Obama could not replicate his 2008 turnout. Voter participation in recent Baltimore City elections has been nothing short of dreadful. That can also be said for primaries in most of the jurisdictions of the state. By the time of voting on April 26, the Democratic presidential nomination will have been all but secured by Hillary Clinton. Turnout tends to be driven most by the race at the top of the ticket. The absence of that contest will reduce one incentive for potential voters in the mayoral race. The Democratic Senate race between Donna Edwards and Chris Van Hollen may excite voters. However, given that neither of them is from this part of the state, that’s less than certain. Low turnout, everything else being equal, helps Dixon who starts with higher name recognition, even if not all of it is positive. Whether either candidate has an Election Day organization that can actually get voters to the polls will be particularly important. The second factor is whether Pugh can get the anti-Dixon vote—and there surely is one—to coalesce around her candidacy. Dixon benefits from the crowded field so long as each of the opponents siphons off a chunk of the “no” vote. On the face of it, Pugh has a strong claim to that vote. She has the benefit of having held office at both local and state level as well as in the private sector. She’s been effective as an advocate on a number of local projects. She’s starting to pile up endorsements and support from other office holders. You’d have to assume that Pugh has a good shot at the endorsements of the Baltimore Sun and the Washington Post. Whether newspapers and endorsements still matter is not clear, but they could make just enough difference in a close race. The other shoe that everyone will be looking to drop is whether Congressman Elijah Cummings endorses Pugh before Election Day. 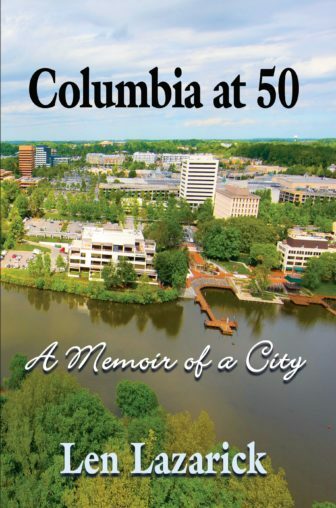 Of all the possible supporters who might actually impact the race, Cummings stands out because of the high regard in which he is held in all quarters. Another side of the equation, of course, is whether any of the other candidates can make a compelling case for election. The recent poll showed all of them well behind the two leaders. One interesting feature of the race is that two candidates, Elizabeth Embry and David Warnock, are both political outsiders who have never held political office. While neither has money problems in the race, both will have to overcome the considerable obstacle of convincing voters that the office of mayor could be an entry level job. Nick Mosby and Carl Stokes, both members of City Council, have opposite issues to deal with. Stokes has been around for a very long time, made a previous unsuccessful bid for mayor in 1999, and doesn’t bring a clear rationale to his candidacy other than longevity. Mosby is best known as the husband of State’s Attorney Marilyn Mosby but hasn’t established much of an identity of his own. And he runs the risk that voters will think one prominent Mosby is enough. One month out, Pugh looks to be well positioned. Despite Dixon’s head start in name recognition, momentum seems to be with Pugh. In addition to continuing to get her message out and making sure she has an effective get-out-the-vote operation, Pugh has to hope that none of the other challengers to Dixon drains too many votes off her effort. Even with those “ifs”, Pugh has a very good chance to be the next mayor of Baltimore.